Percy Chapman aka Intelligent Hoodlum/Tragedy/Tragedy Khadafi is probably one of the most overlooked and forgotten members of Marley Marl’s legendary Juice crew, which is probably justifiable. Back in 88′ when Marley released his debut compilation album In Control Volume 1 , which featured two songs by the 16-year-old Percy (one which we’ll get to later in this review or you can check out my review of that album by clicking on the following link: https://timeisillmatic.wordpress.com/2011/01/20/marley-marl-in-control-vol-1-september-1-1988/) which would eventually create quite a buzz for the young whippersnapper. Unfortunately, Percy was convicted of robbery and sentenced to three years in a correction facility, so while the other Juice crew members stock value was on the rise Percy’s quickly begin to plummet. While incarcerated Percy discovered the Autobiography of Malcolm X, a book he said changed his life forever, or at least until he would take on his thug persona Tragedy Khadafi. After his release from the correctional facility Percy enrolled in LaGuardia Community College and thought his emceeing days were over, until running into an old friend (who would soon become his deejay) Joe Fatal who would eventually help ignited Percy’s dwindling emcee flame. Still an official member of the Juice crew, Marley helped Percy ink a deal with A&M Records (which is surprising since the bulk of the other members of the Juice crew signed deals with Cold Chillin’). He released his debut album Intelligent Hoodlum in 1990, and the rest, as they say, is history. 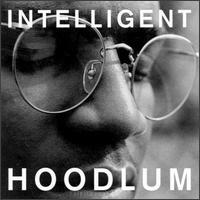 Intelligent Hoodlum – The album opens with a dark and moody instrumental placed underneath an inspirational Farrakhan speech. The production credit is given to Marley Marl but there has been much speculation on Large Professor’s involvement on Intelligent Hoodlum , with Percy himself even admitting Extra P was responsible for most of the production on this album even though he only receives an official credit for 2 songs on the album. Sorry Marley, but this instrumental is definitely the genius of Large Pro. Percy uses the first verse to share a brief bio but strays from that format for the remaining verses to drop random boast and battle rhymes, which sound pretty good. You can definitely hear the hunger in his voice and delivery. Nice start to the evening. Back To Reality – This was my first introduction to Percy back in the day as I still remember the black and white video clip for this song. This instrumental is definitely more of the traditional Marley Marl sound, which is a compliment since I’ve always loved the piano sample and the Soul To Soul vocal sample on the hook. Percy drops three verses reminiscing about being a nappy headed little nature boy experiencing the jams in the park in the early days of hip-hop, impatiently waiting for his chance to rock the mic. He does a great job painting a visual picture with his rhymes. This might be my favorite Intelligent Hoodlum song of all-time. True story. Trag Invasion – Production credits are giving to Marley Marl and Large Professor on this one, but Extra P’s fingerprints are all over this bangin’ instrumental. Tragedy makes sure not to waste this delectable treat as he rips the heart out of this instrumental while it’s still standing and breathing. Niceness, much! No Justice, No Peace – Percy steps on his soapbox to address the mistreatment of the black man in America, but apparently didn’t have enough to address since he uses the same rhyme in the 1st verse and final verse, just in case you missed it the first time around, I guess. Marley’s instrumental was blah at best, but my opinion may be a bit biased based on my irritation with the overly used sample used in the instrumental. I know this was the early nineties when the black awareness song was mandatory on an east coast hip-hop record, but I didn’t care for it then and still don’t care for it now. Black & Proud – Percy’s Intelligent persona is back in the driver’s seat for this one as he praises some of our beloved black leaders and drops a few history lessons in the process. Marley’s instrumental was decent, and overall so was the song. Game Type – Once again Marley and Extra P are credited with production credits (with Joe Fatal getting a production credit for adding scratches to the record), but it’s pretty obvious Extra P did the bulk of the work on this one too. Percy spins a tale about a chick, he claims he just wanted to bag (translation:screw), but gets so pissed off when he discovers she’s also kicking it to his boy that he follows the two to a hotel and seriously considers smoking both of them. Fortunately, he comes to his senses realizing what a dumb move it would be to get life in prison for killing a chick you claim you only wanted as a booty. They don’t call him the Intelligent Hoodlum for nothing, I guess. Microphone Check – Percy uses Marley’s drunken piano sampled instrumental to check the mic on this one. Percy’s line “I’m pretty like your sister” was pretty questionable and extremely weird. Overall, Percy does a serviceable job but for some reason this feels like something Biz Markie would have made much more entertaining. I’m just sayin’. Keep Striving – Now I can completely understand those who think this song is a corny half-assed attempt at a motivational song, but for some reason I have always liked this song. I’m a sucker for piano infused instrumentals, and the house music flavored bass line Marley throws in is also a nice fit. Percy sounds pretty convincing on the mic and I still find his line about his studio time getting canceled so Kane could record pretty amusing. This might have been a blatant attempt at reaching a wider audience (i.e. selling out) but I like it, and it’s probably one of my favorite Intelligent Hoodlum songs. Arrest The President – Percy’s puts his political/black militant/intelligent hat back on to spit over one of the harder instrumentals on the album. The instrumental, which is credited to Marley (but again, I suspect Extra P hooked this up) sounds like something the Bomb Squad could have concocted, if two zillion more samples were used. Percy comes off like a pissed off reverend preaching fire and brimstone (if you omit the couple of f-bombs he drops along the way), which is meant to be a compliment. Nice way to end the album (at least the proper album). Your Tragedy – Wait, is that Percy rapping or Alvin Seville? Like the bulk of the bonus material this was an old demo Percy recorded while going through puberty as his rap voice sounds very under developed. That’s the least of my issues with this song, though: the instrumental is garbage and the sound quality is terrible. Live Motivator – If this instrumental doesn’t make you want to do the wop, you’re either to young to know what the wop is or there is something severely wrong with you. This song was originally released on Marley’s In Control Volume 1 compilation album. Percy sounds right at home as he spills silky syllables over this bouncy Marley Marl production. In Control Radio Show Freestyle – This a freestyle session taken from Marley Marl’s radio show featuring Percy, Biz Markie, and Big Daddy Kane. It should come as a surprise to no one that Kane steals the show. I love you Biz, but there was absolutely no reason for you to pick up the mic again after Kane destroyed it. Back To Reality (Remix) – The original mix trumps this by miles. Go Queensbridge – This could have been left on the cutting room floor, again. The Super Kids Live At Hip Hop USA – The Super Kids was the name of Percy’s original group which featured Percy on the mic and his deejay DJ Hot Day (which may be the corniest deejay moniker of all time). Regardless, this was another demo I never had to hear. Intelligent Hoodlum comes out the gates flying before its rapid pace turns into a slow trot by the middle of the album and tries to re-establish it starting pace, never quite regaining that level but does a decent job crossing the finish line. That last sentence is only true for the proper album as the majority of the bonus songs are garbage. There is enough material on Intelligent Hoodlum to prove Percy a more than capable emcee as his hunger shines through on most of the songs. When you couple that with solid production by a few hip-hop legends, Intelligent Hoodlum is a pretty solid debut. Unless you’re an Intelligent Hoodlum Stan a purchase of the proper album will do, as the majority of the bonus songs are worthless. Check out this interview, Joe Fatal states that at best, Marley only did three of the tracks.